Doors open at 6:30pm and the show starts at 7:00pm. Tickets are $15.00 and are sold at Old Port Variety, Legion Canteen or order online via snapd Haldimand Norfolk. For more details call Crystal at 519-429-1748 or 519-586-2259. Come out for a laugh! 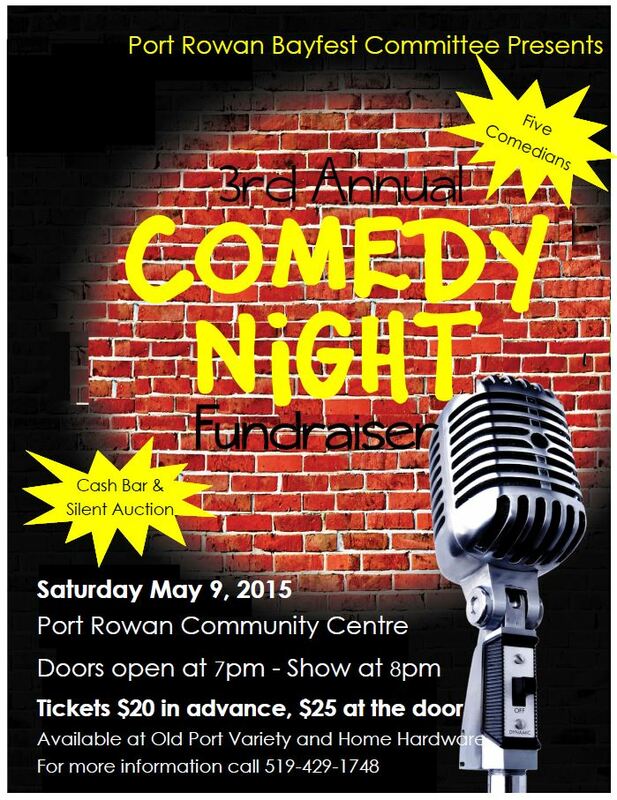 The Port Rowan Bayfest Committee is proud to present the 3rd Annual Comedy Night Fundraiser Saturday May 9, 2015. This year, we’ll be hosting five comedians, plus there will be a cash bar and silent auction. Come on out for a great time with friends to the Port Rowan Community Centre. Doors open at 7pm and the show starts at 8pm. Tickets are available from the Old Port Variety and Port Rowan Home Hardware. Cost is $20 in advance, $25 at the door. For more information, call 519-429-1748. Hope to see you at Comedy Night – lets get ready to LAUGH!! The 3rd Annual Bayfest Comedy Night will be held at the Port Rowan Community this April. Look for details coming soon on the Bayfest Facebook page. 50/50 Bayfest Draw Tickets will also be going on sale starting in April. Sip and Savour Bayfest will take place on Friday September 4. Local restaurants, bakeries, breweries, wineries and other food vendors will be showcasing their wares along with an afternoon and evening of entertainment. Want to be a part of Sip and Savour? Contact Lynette Friesen or Julie Everingham for details. We’re also working on bringing in new kids events like a professional puppet tamer! Who’ll build the best boat and paddle their way to victory in the Build-a-Boat contest? Get your dancing shoes on and rock the night away Saturday night at the Bayfest Street Dance. Search for treasures and get points for prizes by taking part in the annual Scavenger Hunt! With so many great things happening, the Committee is on the lookout for anyone who’d like to join in the fun. The next Committee meeting will be 2pm on February 15, 2015 at the Port Rowan Community Centre. 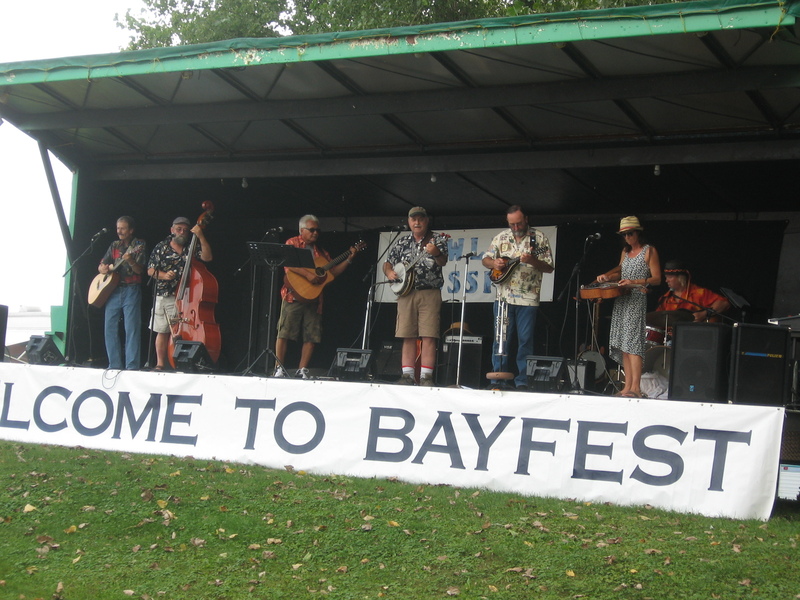 Let’s work together to make Bayfest 2015 the best ever!